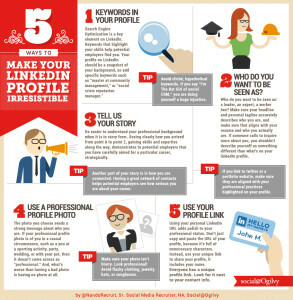 Socila Ogilvy has come up with a great infographic showcasing 5 ways to improve your Linkedin Profile. Tell the story of your career. Focus on your personal brand. Use your unique link to share your profile.